The search for the person or people behind the YouTube video that reportedly sparked violent attacks on U.S. missions in the Middle East is one of the odder stories I have ever followed. Today the Associated Press reported that U.S. law enforcement believes a man named Nakoula Basseley Nakoula is responsible for the video, which may or may not be a trailer for a longer film. Nakoula is a Coptic Christian in southern California and while his plan appears to have been to exact some revenge on Muslims for their treatment of Christians in Egypt, he almost certainly has endangered other Coptic Christians. The whole scheme sounds like something even Wile E. Coyote would see couldn’t possibly work. But Nakoula—who told reporters yesterday that “Islam is a cancer”—doesn’t seem to have thought through many details of his grand plan. For one, his initial claim to be an Israeli Jew was a verifiable lie clearly intended to lead reporters in the wrong direction, caring not at all about the potential for violent backlash against Jewish communities. That came after Nakoula had already translated the video into Arabic and posted that version on YouTube, a move he had to have known would incite Islamists in his home country and elsewhere. Again, Nakoula thought nothing about the violence that could—and did—result. But if Nakoula made the video in part as revenge for persecution of Coptic Christians in Egypt, in doing so he has put his fellow religionists at great risk. It took less than 24 hours for reporters and law enforcement to figure out his real identity—something Nakoula inexplicably does not seem to have anticipated. And now that they have, the violent outrage that mobs in Egypt, Yemen, Libya, and elsewhere have directed at U.S. institutions may target Copts as well. 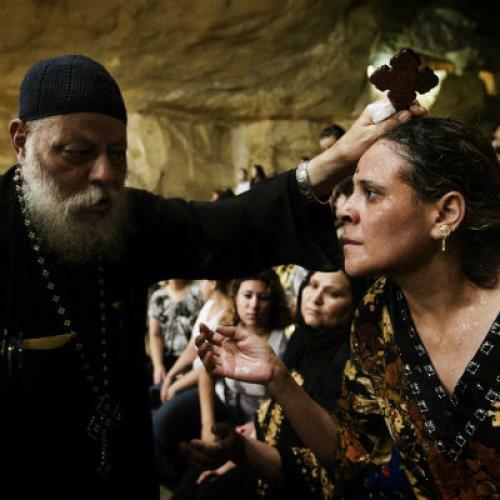 Coptic Christians make up around 10 percent of the Egyptian population and have existed in the region since shortly after the founding of Christianity. In fact, the entire area of what is now Egypt was overwhelmingly Christian until the late twelth century, when most inhabitants converted to Islam. The uneasy coexistence of Egyptian Christians and Muslims broke out into violent clashes over the past four decades, and have increased since the end of Hosni Mubarak’s dictatorship in 2011. A deadly attack on a Coptic church in October 2011 that left 24 dead was the worst violence since Mubarak’s overthrow. Some conservative evangelicals, including Family Research Council vice president Jerry Boykin, have argued that the Obama administration has endangered Coptic Christians and falsely charge that the U.S. government sends billions of dollars to the Muslim Brotherhood. (These claims fueled protests by Copts against Hillary Clinton when she visited Egypt in July.) But with his intentionally and recklessly provocative anti-Muslim video, Nakoula has--more than any other single individual--put Coptic Christians in serious danger.